Chips, cracks, and other flaws can make you feel self-conscious. 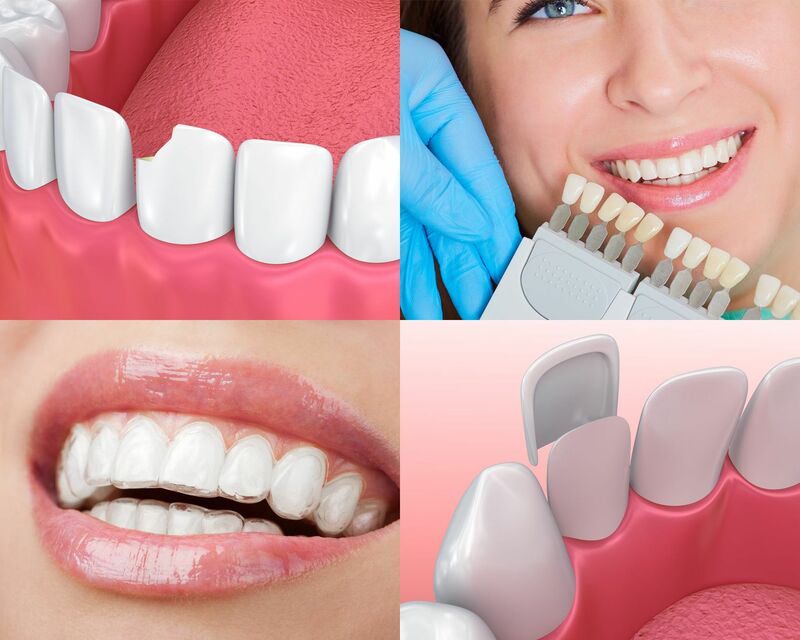 At Dental Plus Clinic, we offer a range of cosmetic dentistry services that can enhance the appearance of your teeth and gums so you can smile with confidence. At our four locations in San Antonio, Beeville, and Seguin, TX, we offer everything from teeth whitening to orthodontics. Dr. Tejash Patel heads a team that can work together to help you achieve your cosmetic goals. At our one-stop dental shop, we use the latest techniques and treatments to transform your smile. Our cosmetic treatments can be performed alone or in combination to give you the smile you have always wanted. Whether you want to restore a single chipped tooth or need to replace multiple teeth, we can provide the right treatment for you. Our team at Dental Care Plus understands that every smile is different. For all of our patients, we take great care during the planning phase to ensure each treatment plan fits their unique needs. During your initial consultation, you can sit down with Dr. Patel to discuss your needs and goals. Then, he will perform a full examination and check each individual tooth, looking for signs of crowding, issues with your gum line, and any oral health concerns. We may take x-rays or digital photographs. Dr. Patel and our team at Dental Plus Clinic believe every patient deserves to have a smile they are proud to show to the world. Once your exam is complete, Dr. Patel will display your photos on a monitor in the examination room and explain what each tooth needs for a fully enhanced smile. At this point, he will make recommendations and create a personalized treatment plan with multiple options. We can also load your photos into our smile design software and create a digital preview of the results. Based on your goals, you can decide which procedures are right for you. He can also combine multiple cosmetic treatments to create a comprehensive smile makeover. Many patients also choose to incorporate restorative treatments, such as dental implants, crowns, or other tooth replacement options. Dr. Patel and our team at Dental Plus Clinic believe every patient deserves to have a smile they are proud to show to the world. If you are interested in enhancing your smile with a cosmetic treatment, contact our office online or call (361) 354-5888 to speak to a member of our staff today.